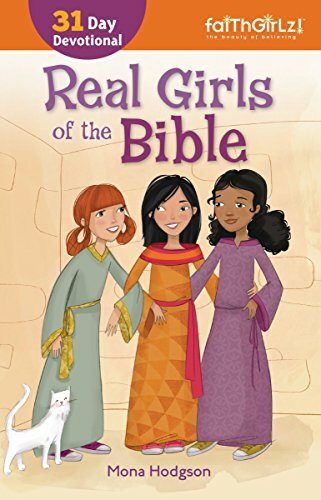 View your world with fresh eyes From Faithgirlz comes Real Girls of the Bible, featuring thirty-one stories about real girls from the Old and New Testaments. Just like you, each of these girls had to find her place in the world, and though your worlds are very different, you'll find that many of the struggles were the same-like fitting in and struggling to do the right thing. Each devotion includes Scripture , prayer, Body Talk and more. With thirty-one days of devotions, discover what real girls from the Bible might have to say about finding your way.